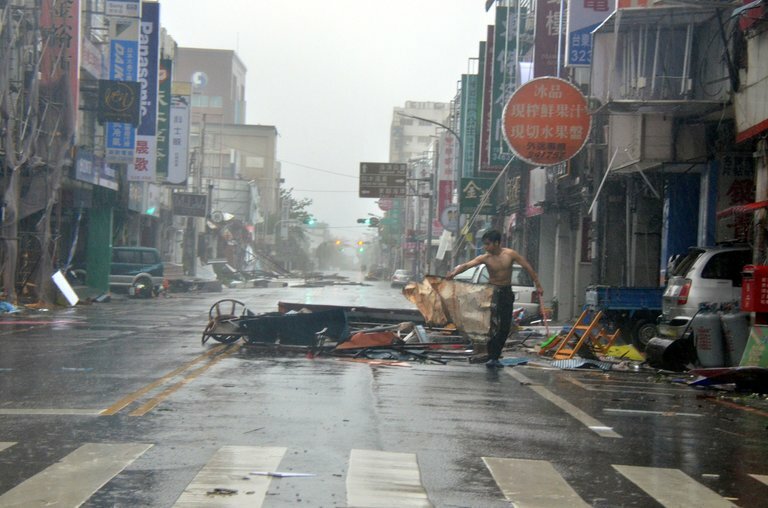 Winds reported at 200km per hour as Typhoon crossed Taiwan strait. Hundreds of thousands of people were evacuated along the east of China after tropical storm Nepartak made landfall on Saturday. 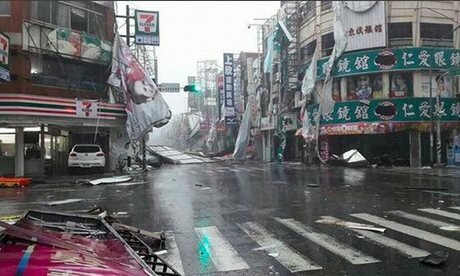 Typhoon Nepartak has left 3 dead and many people missing, damaged more than a 1,000 houses and disrupted traffic after making landfall Saturday afternoon in east China's Fujian Province. According to local weather bureau, the first typhoon of the season landed at 1:45 p.m. in Shishi City, packing winds of up to 100 km per hour. 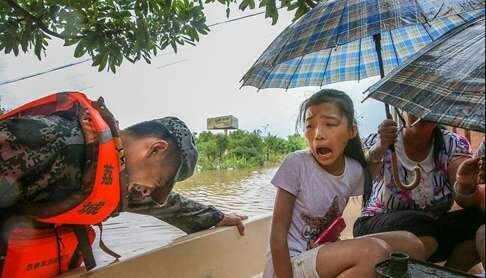 A total of 428,800 people in six cities, including the provincial capital of Fuzhou, have been relocated, said the local flood control authorities. From 8 a.m. Friday to 5 p.m. Saturday, four counties received precipitations ranging from 282 mm to 405 mm and another 21 counties reported precipitations between 100 mm and 200 mm. Flooding inundated farmland, villages and even urban areas and damaged roads. Five airports have been closed, resulting in the cancellation of nearly 400 flights. A total of 341 high-speed trains and almost 5,000 buses have also been canceled. More than 33,000 fishing boats are taking shelter in port. Air-passenger services and passenger ships to Taiwan across strait have all been suspended. Power supply is out in some remote areas. A red rainstorm alert was issued in Putian City, which experienced more than 250 mm of precipitation in four hours early this morning. Forty-three people in a residential area were rescued by firefighters after floodwater submersed two buildings. Many buildings have collapsed and landslides were reported in rural and mountainous areas. Over 22,600 people are checking the city's water projects, local flood control headquarters said. As the typhoon weakened into a tropical storm after the landing, authorities in Xiamen City lifted the typhoon alert and announced that it would resume the passenger ferry service between Xiamen and Jinmen across the Taiwan Strait on Sunday. Over the past three days, more than 80 passenger ships have been canceled, affecting about 10,000 passengers. Typhoon Nepartak made first landfall early on Friday in eastern Taiwan, packing winds of up to 190 km per hour.